In my search for more information about Nancy, wife of Daniel Lamphere (c1740 – 1808) , I decided to explore each of their children’s lives. I also examined the children from Daniel’s first marriage, since the circumstances of its ending are still unknown to me, and I thought if I learned more about them it might explain something about how Daniel and Nancy’s relationship began. Daniel and Nancy are my grandmother Edna Darling’s ggg-grandparents from Westerly, Rhode Island. I discovered Daniel’s children in this post, and examined Nancy’s supposed Tefft ancestry in this post. I decided now to reexamine each of the 15 children individually. I didn’t get too far. Imagine my surprise when I immediately found myself deep into a murder mystery. This is the story of that mystery, but it’s also a story about sources of information. 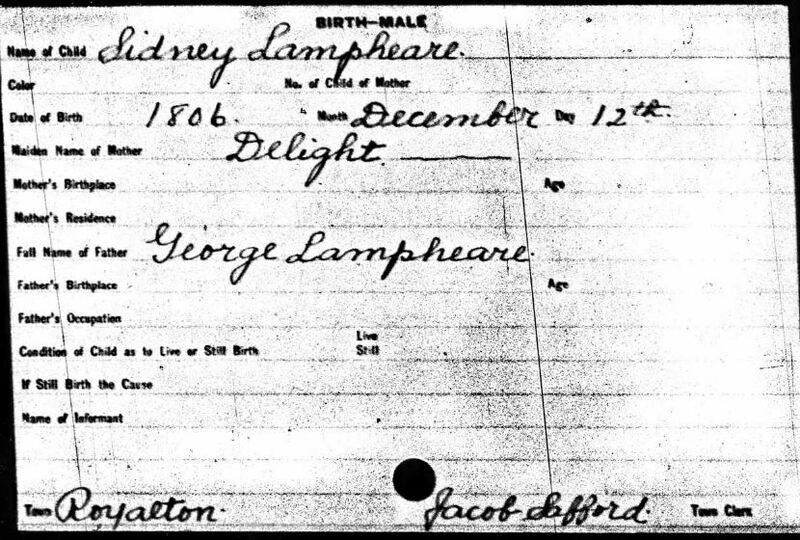 One of the first children born to Daniel and Eunice Lamphere was George Lamphere, on 31 March 1761, according to the Westerly birth records. The original Lamphere immigrant (gg-grandfather to George) was named George (c1638 – 1731) and there are many descendants with that name. 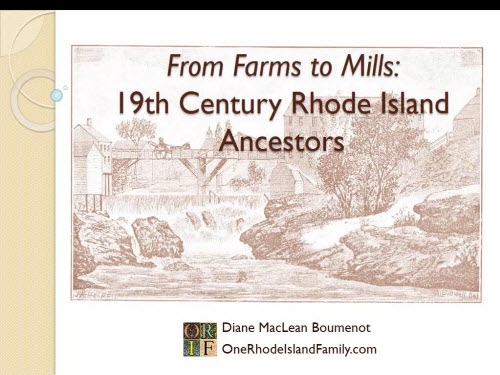 I knew from my initial exploration of Daniel’s descendants that George and his siblings from the first marriage left Westerly for northern New England and New York. 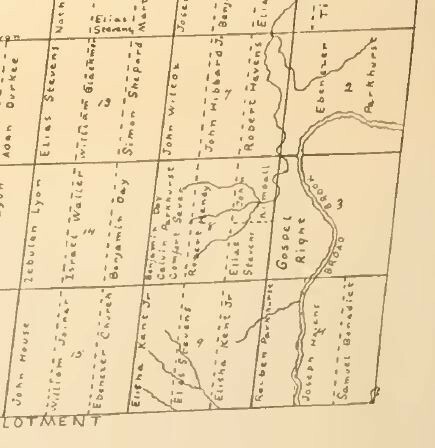 George was residing in Royalton, Windsor County, Vermont in 1810 when he gave a power of attorney during the settlement of his father’s property. I saw that George married Delight Hilliard on May 2, 1782 in Shirley Bucknum’s Lanphere Family Research Aid. George’s family is #92 on page 19. They “removed from Westerly to Norwich by certificate 7 Mar 1783 (TCP 4/6: 465)” meaning they were given a certificate saying that their home was Westerly, which would ensure they would be allowed to maintain a home in their new location. I have not yet been to Westerly to check the town council records volume 4/6 for that myself. 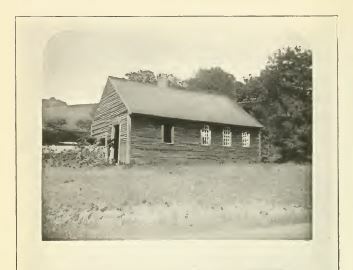 I did find the marriage recorded in the Bozrah, Connecticut records by Barbour. Newspaper dated 29 Nov 1806, Windsor, VT: “Mrs George L Lamphere died under suspicious circumstances from which her husband and mother were arrested & committed to jail” (RI VR 14 p37)”. In Windsor (Vt.) Mrs. Lamphere, wife of George L. Having died on Sunday, she was buried on Monday; but suspicions arising, her body was taken up some days after, and examined by a jury of physicians, who reported that she came to her death by blows received on her left side and across her back; that those blows were probably given by her husband, and that his mother was accessory thereto. They were both committed to Woodstock gaol. A search brought up numerous other, similar newspaper entries from around New England, as paper after paper copied the Vermont story. The nearest local paper in Windsor, Vermont revealed a few more details. Important Trial – On Wednesday last, before the Supreme Court at Woodstock, came on the Trial of Mrs Ewing and George Lanphear, of this town, on an Indictment for MURDER committed on the body of Mrs. Lanphear (wife of the latter;) and after an impartial trial, which continued for four days, the charge was given to the Jury by His Honor Judge Tyler; – who, after a consultation of three hours, returned a Verdict NOT GUILTY. — Windsor paper, Aug 31.
the article repeated in various papers specifies “Mrs. Lamphere, wife of George L.” But the Providence Gazette retelling of the story uses “Mrs George L. Lamphere.” The Gazette is making an assumption (about what the L means). A similar mistake was made by Arnold in his abstract of the death record from the Providence Gazette: “her husband and mother were arrested” but in fact the Providence Gazette had clearly stated “her husband, and that his mother was accessory thereto.” And frankly, to even put the abstract into his volume suggested that the individuals had Rhode Island origins – something that he could not have been sure of. George Lamphere lived in Royalton, Vermont, located in Windsor County. I could find no newspapers for Royalton (a small town) so looked in Windsor County. But for a while, I overlooked this clue: the Windsor Post-Boy stated that she “was interred in the West-Parish of this town” – if I had thought this through earlier I would have realized the paper was referring to the TOWN of Windsor and so the wife could not have been buried in Royalton. I was checking each town on the map, and I would have known Windsor was too far away to be a likely burial spot. Also, some stories gave a dateline of “Windsor, Vermont.” Of course that meant a town, not a county. Nowhere in these newspaper reports is the first name of the wife mentioned. As I read more notes online (repeating over and over that this couple was George and Delight Lamphere) and as I eventually saw the original court record (see below), I became aware that the accused murderer’s mother was named Eunice. That was also the name of my George Lamphere’s mother, although I had been uncertain as to her fate (Eunice’s husband Daniel remarried about 3 years after his and Eunice’s last recorded child). The newspapers mentioned “Mrs. Ewing” but I quickly found an 1804 marriage in Windsor, Vermont of Eunice Lamphear and William Ewing. This made me wonder if Daniel and Eunice had gotten a divorce, and she had eventually accompanied her son up to Vermont. In fact, another of Eunice’s children, Eunice, was also living in Royalton with her husband, Eliphalet Davis. I checked with the Rhode Island Judicial Records Center, but no divorce for Eunice and Daniel was found, but I have never found a death record for Eunice either. Over a period of weeks I explored sources both contemporary to the event – like newspapers, census records, and vital records – and more recently compiled sources, like family genealogies, online notes, and lists. The Barbour vital records for Bozrah, Connecticut (just next to Norwich, where George and Delight had gone in 1783) reported the marriage and five births for George and Delight between 1783 and 1791: Jesse, David, George, Erastus, and Daniel. 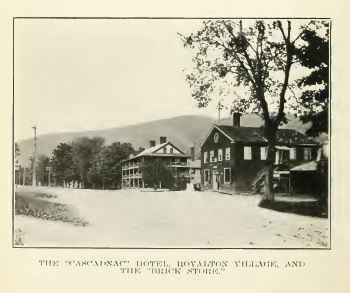 The History of Royalton, Vermont with Family Genealogies 1769-1911 by Evelyn M. Wood Lovejoy (Burlington: 1911), (volume 1 and volume 2 are online) has a brief entry for the George and Delight Lamphere family on page 847, in which son George is noted, birth date unknown, and the births of Daniel, William, Eunice, Jeremiah, Sally, and Sidney are reported between 1796 and 1806. The book also mentions a David, Erastus, and Jesse, about whom nothing was known, but I was able to easily see that those names matched the children born in Bozrah. 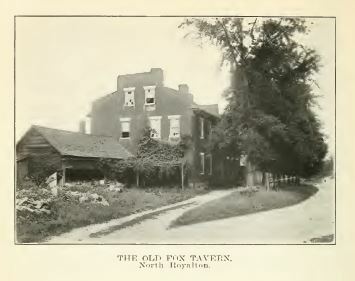 It was noted that the family, living on Broad Brook, Royalton, seemed to have a presence in Royalton from 1793 until around 1820 only. I was rather shocked to find (in the Mayflower Descendant, vol. 51 (2002): p. 95, accessed on AmericanAncestors.org) an article “William Hillard of Duxbury, Massachusetts” by Victor Grant Hillard Jr. which repeats the story of Delight being murdered (which is not uncommon to find) but takes it a step further and states, on page 123, that Delight’s mother, Victoria, was living 29 Nov 1806 when jailed for the murder of her daughter Delight. The source cited was the garbled Arnold abstract of the Gazette death notice. It’s a good illustration of how indexing, abstracting, and retelling can change the story – and how important it is to check other sources. a mention of the trial record, which was cited as “WINDSOR SUPREME COURT DOCKET VOL 3 P28 – AUGUST TERM 1807” which names the wife as “Amelia.” Prior to seeing this, I had barely begun pouring over court record guides to figure out Vermont court records – this note assured me a record existed. An email to the Vermont Archives (see Windsor County on this page) brought me a quick reply with a two page summary of the case, which was the only surviving record (Windsor County Supreme Court, January 1807 – January 1818 (vol. 3) p 28 – 29). I am very grateful for their help. Here is the pdf document of The State vs. Eunice and George Lanphier, August Term, 1807: WindsorSC_v3_p28 as sent to me by the archives. Here is a pdf of my transcription: Windsor County Supreme Court. The archives staff said it was a public record and I was welcome to post it. If anyone is wondering, I transcribed the Windsor County jurors as Isaac Tower, Theophilus Bates, Leonard Walker, Junice Parker, John Parker, Arnold Wheeler, Leonard Richardson, Amos Horner, John Billings, Moses Davis, Prince Haskell, and Thomas Hodgkins. I thought from what I saw online that the court record would name the wife as “Amelia.” And sure enough, the wife was named Amelia. That does not disprove anything, really, since Delight could have died and George remarried, although it certainly eliminates Delight as being the victim. Another important piece of evidence didn’t strike me until I went through the timeline of this story. According to the book History of Royalton, Vermont (linked above), George and Delight’s last child, Sidney, was born December 12, 1806. 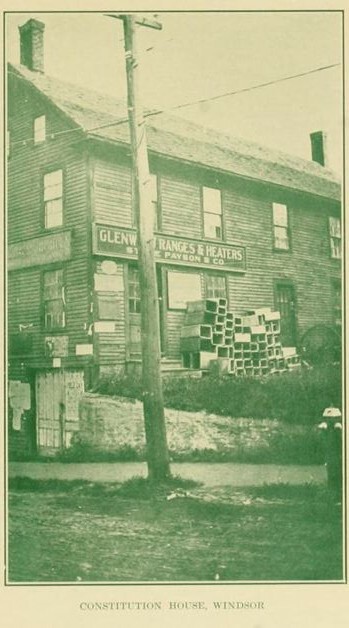 Ancestry.com has images of a card file for Vermont Vital Records, 1720 – 1908. Sidney’s card appears below. So not only was Delight alive in December of 1806, but she and George were still married and having children. I would not say this is absolutely conclusive proof of anything, but it goes far to prove that George was unlikely to have married and murdered Amelia by the date of the assault, October 25, 1806. 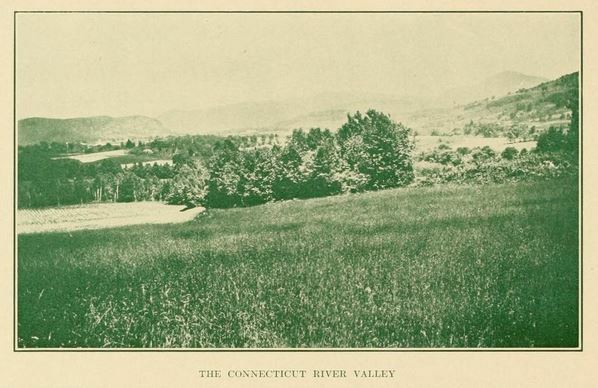 Ancestry.com – Vermont, Vital Records, 1720-1908 card 2910 of 4095. This is definitely the George and Delight I’ve been studying. Calculating back George’s birth date puts it one day off from the recorded Westerly birth date of March 31, 1761. 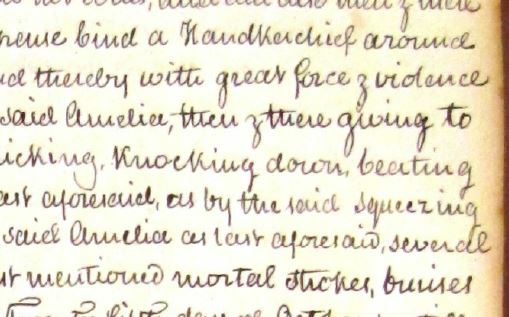 Delight’s age at death does not seem to match the date of her birth recorded in the Barbour volume for Stonington, Connecticut (p. 191): August 18, 1764. The age on the grave marker suggests a birth date of August 19, 1753 – one day and 11 years off. That would suggest she was 77, and her husband 70, at the time of her death – something that would be very unusual in that era. I suspect the gravestone may have been hard to read; perhaps it said she was 66. Also, the markers noted in that cemetery included other family members – Hiram, son of Sidney Lamphear, and Eliza Ann and Zerah, daughters of Erastus Lamphear. Broad Brook area in the southern corner of Royalton; 1782 map of the initial Royalton land allotments – George Lamphere was not there yet. Said farm contains upwards of 100 acres of excellent land, 40 acres under good improvement with a young and thrifty Orchard, well watered. Wood easily brought to the door for use – and Mills handy – 25 cattle can now be kept thro the year on said farm … 500 dollars in Cash, and the remainder in neat stock and horses. –George Lamphear, Royalton, February 13, 1805. My conclusion is George and Delight Lamphere should no longer be considered as a part of the murder story. Sadly, that doesn’t really solve anything. Apparently any record of the evidence presented at trial is no longer available. So we don’t know what the jury was told, other than the words of the indictment. I wonder why she was under a doctor’s care and yet the concerns arose by what she said, not by what that doctor saw. I wonder why her body had to be exhumed to find the evidence of a lethal beating. I suspect, but don’t know, there were no other suspects. I am not knowledgeable about the legal system of the time (although I follow The Legal Genealogist faithfully!) and don’t want to assume I know the law – I am wondering if beating her was really no crime? Wouldn’t the handkerchief about the throat seem to clearly indicate an intent to murder her? The brutality, and the agonizing days of pain which ended in her death are a terrible legacy for Amelia, whoever she was. One senses this was not the first episode of violence in this household, if two family members were conspirators in it. We are only hearing one part of this story (accurate or not) in the indictment but if it was true, ultimately there was no justice for Amelia. She went to her grave, perhaps leaving beloved children behind, and (if she was murdered by these family members), the murderers went on with their lives after a brief jail stint. There is nothing to be done about that, but at the very least she should NOT be remembered as a different person altogether. I hope that genealogists can do that for her. If anyone puts her identity together, I would like to know. In this research, I found good evidence where I least expected it, and bad information in places that should have been more reliable. I also noted some subtle errors introduced by abstracting. This has been a great reminder of the importance of examining all sources for information, and checking each fact as thoroughly as possible, even those that appear to be substantiated. Congratulations, Diane, for this excellent article. And thank you for your thoughtful crediting of my contribution. Yes, I am the “calliecute” who alerted you to the burial of George and Delight in New York and to the birth info re Sidney. I am so impressed by the diligence of your research. You have done much more than I did as I pursued the same mystery. My interest stemmed from the fact that the William Ewing who married Eunice Lamphire is an ancestral uncle – a Scotsman who was initially a soldier with Braddock at Duquesne and later an itinerant Baptist minister in New England, mostly in Massachusetts and Vermont. I would love to see this murder mystery solved. For a long time, I too erroneously thought that the George Lamphere who married Delight was the murderer. I wonder if anyone will ever discover the identity and ancestry of the George Lamphere who did commit the murder. And I wonder what happened to him and to his mother after they were released from jail. Poor William Ewing died in 1811 at Windsor. I never found a divorce record but it’s hard to imagine that he would have stayed with Eunice after this scandal. I didn’t find him on the 1810 census but I’m sure he would have been in another household, perhaps with Nathan Smith as there is some indication that one of his daughters was married to a Nathaniel Smith. (William’s first wife, Eleanor, died at Windsor in 1803. No burial records for either. Please let me know if you ever find any more information about this mystery. You are clearly a very careful researcher. Thanks for visiting Tanya. 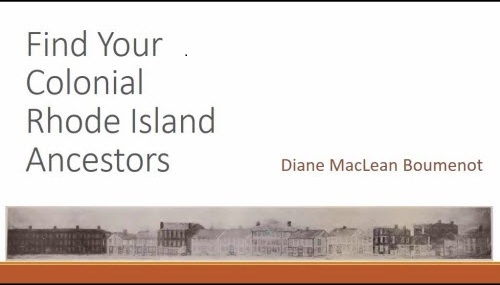 No, we are not closely related to Norman McLeod at all, however my father’s family was impacted by the departure from Cape Breton which split families and communities. His family were among those that stayed in Nova Scotia. Diane, this is another wonderful example of drilling down for the details, and keeping track of all sources, evaluating possible issues of validity. Wonderful work here! Thanks for posting. One wonders if Amelia had a mental illness -? Poor thing – what a challenging life. Enjoyed every word of this post! I am working on a somewhat different murder mystery that played out in the newspapers of Baltimore City, Maryland in 1890. I just wanted to comment about a possible motive in your case. Since both the husband and mother-in-law were involved, I wonder if the victim could have been under suspicion of being a witch? This might sound crazy but I am thinking of it being in New England in the 1700’s and the possibility. If the husband was the sole perpetrator, I would think simple domestic violence. But since the mother-in-law was involved that puts an interesting light on it. Just a thought! Thank You so much for such an interesting read and also for the caution about abstracted and transcribed records. Diane, excellent detective work! You mention “Daniel and Delight” rather than “George and Delight” – is that an error, or what the records said? Where did you find the Windsor VT newspaper info? I’ll fix that now Randy. Caught myself doing that a couple times! The Windsor Post-Boy was on GenealogyBank – I learned a bit about drilling down to locations on GenealogyBank when doing this. They don’t make it obvious! Wonderful work, Diane. When we work with lurid or tragic material it can be a challenge to examine it with detachment and clarity. Amelia ought to retain her name in death. Thanks, Susan, and also Melissa. Amelia at the very least deserves her own name. Melissa we may never know what might have been contained in that trial. I do assume it was domestic violence but assuming is what messed this history up, so I guess I shouldn’t assume. Excellent read. I had never contemplated the potential problems of abstracting, Diane. Many thanks. Ann, I agree, I think this will stay in my mind and make me more skeptical in the future. These are affiliate links to Legacy Family Tree webinars, a subscription site. Thank you for any shopping you do at Legacy Family Tree! James Anderson: "Both a Pirate and a Spie"
© Diane Boumenot and One Rhode Island Family, 2018. Unauthorized use and/or duplication of this material without express and written permission from this blog’s author and/or owner is strictly prohibited. 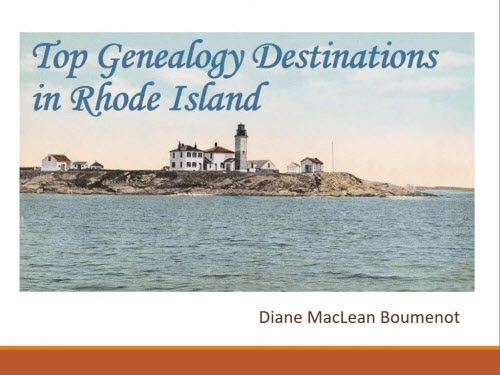 Excerpts and links may be used, provided that full and clear credit is given to Diane Boumenot and One Rhode Island Family with appropriate and specific direction to the original content. Photos may be used elsewhere only with explicit permission in writing (which will usually be given, but please ask).